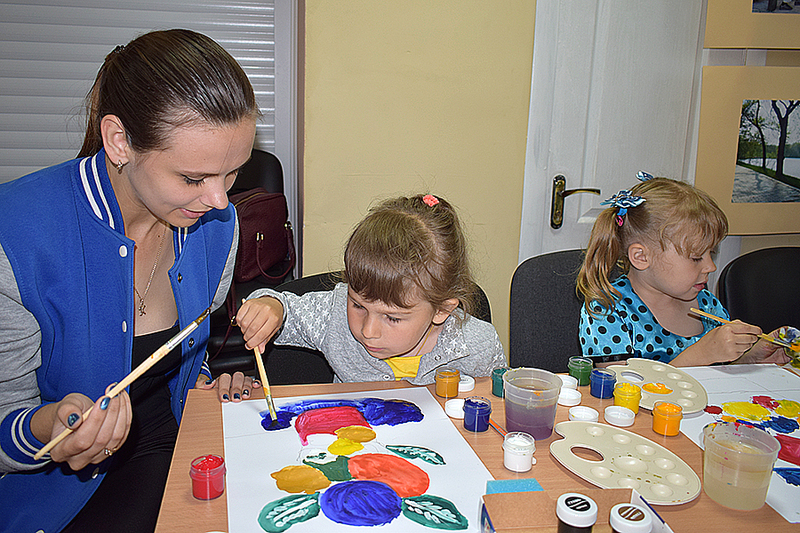 Students of the ER IPP conducted a psychotherapeutic event with children with disabilities on the basis of the Charitable Foundation “Miloserdie Luhansk”. 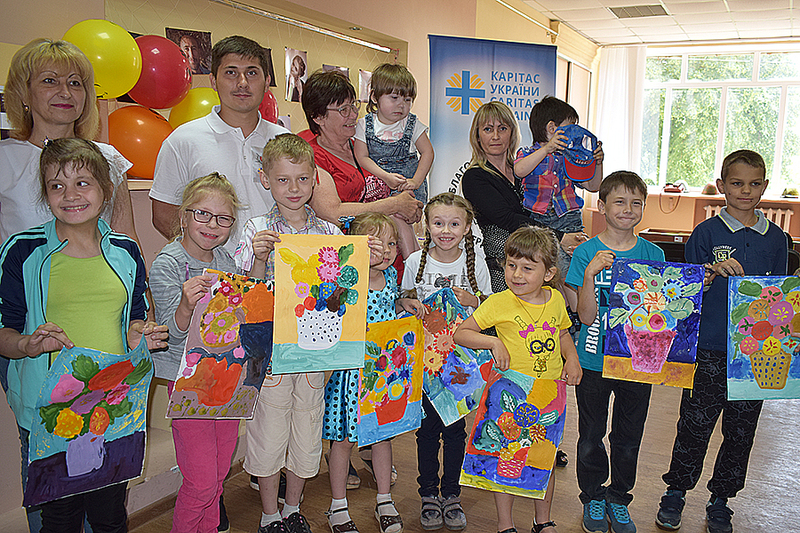 On June 9, the postgraduate student of the department of social pedagogy A. Nazmiev together with the students of the Educational and Research Institute of Pedagogy and Psychology conducted psychotherapeutic classes with children with disabilities and their parents on the basis of the Charitable Foundation “Miloserdie Luhansk”. The event was held in the space of STB city Hub. Children and parents were divided into 3 groups. 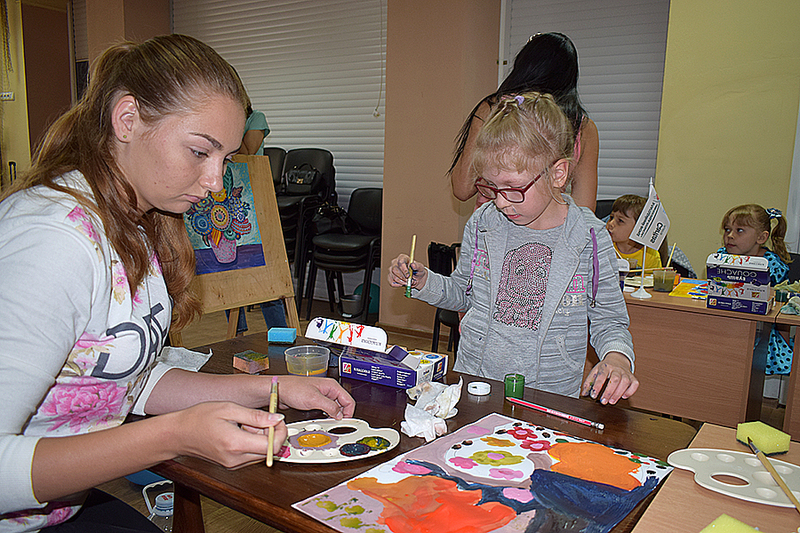 The first group of children of art-therapeutic direction could express their feelings with a brush and paints. 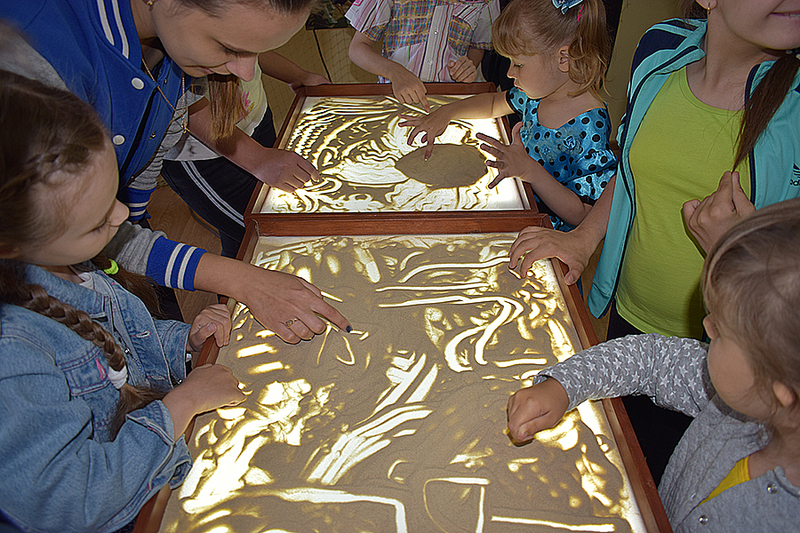 The second group of children worked fine motor skills at two tables of sand animation. 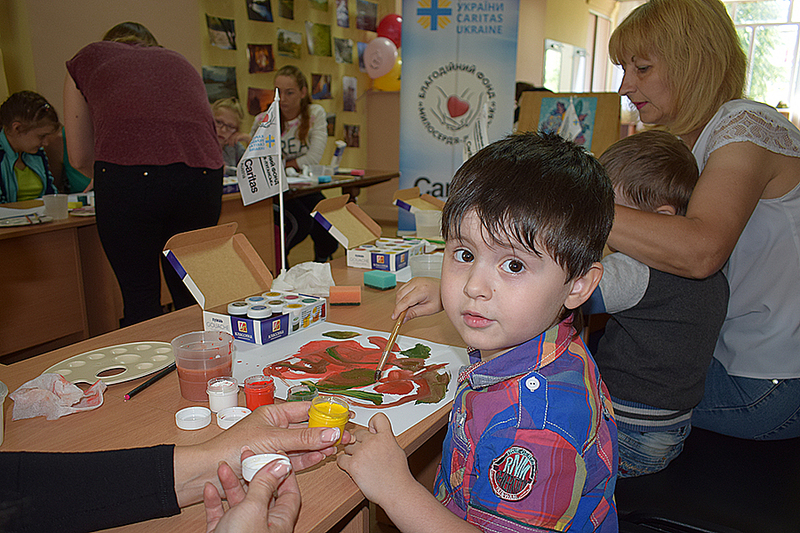 Parents of children were invited to the lecture “Emotional Intelligence”, where they received information about the importance of emotions in a child’s life: how to manifest, control and analyze them. In general, children received the skills of stabilizing the psychoemotional state, self-knowledge of one’s own state and manifestation of it in work. Parents got useful information about working with the emotions of children. 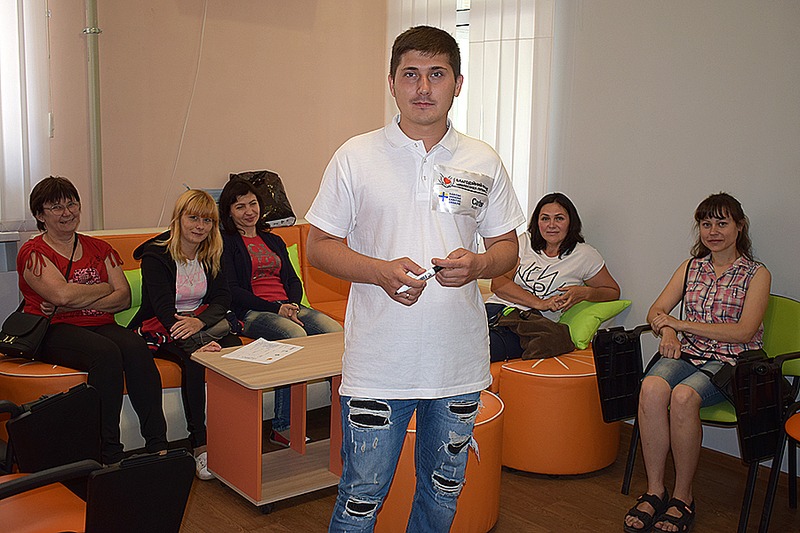 And students received the skills of psychotherapeutic work, which will be useful to them in further professional activities. The meeting ended with warm words of gratitude and hope for the next meeting.